For the second time in a row, PONGS® has been awarded the Silver Member status of the Trevira CS Club. 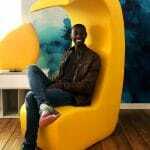 A strong partnership and a cooperative exchange are in focus. As in the beginning of 2018, PONGS® was again awarded silver status as Trevira CS Club member this year. As a provider of Trevira CS products, you have the opportunity to benefit from numerous services. “The club strengthens the cooperation of customers and partners,” says Trevira GmbH. The Silver Member status acquired by PONGS® is not only derived from sales figures but also from other categories such as creativity, geographic presence and, in particular, brand loyalty. 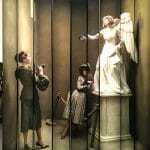 Inappropriate textiles contribute significantly to the spread of a fire. In contrast, flame-retardant Trevira CS textiles fulfill all the important international fire protection standards because they consist of fibers and yarns with a so-called built-in safety. But the fabrics are not only excellently equipped; They also convince by a wide range of products and many possible uses, such as awnings, room dividers, upholstery fabrics, wall coverings or curtains. Among other things, PONGS® manufactures the sound-absorbing material SILENCIO® from 100% Trevira CS. The three-dimensional fabric not only harmonises the surround sound, but also has an effective flame-retardant effect according to DIN EN 13501-1 B-s1, d0. 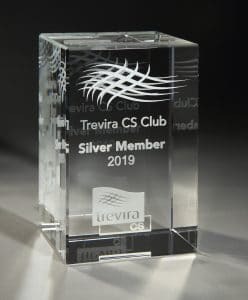 Photo: The award for the Trevira CS Club Silver Member 2019.